The Net of Stars: Finally! This is the first image of the year! Let's just say it's been a bad year. Amazingly everything worked smoothly, including me. This is yet another AL Bright nebular object, LBN 331. A so-so picture, but I'll take it--LBN 331 is a brightness 4 object, so given my skies I don't expect much from 1.6 hours total exposure. 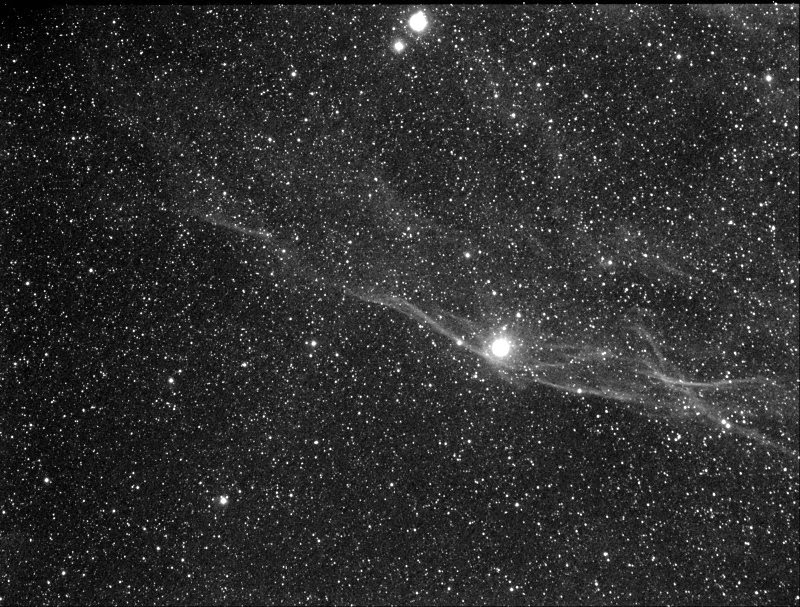 Tonight's supposed to be clear again (we'll see), so with luck I can bag another object, or go back to this one and shoot some RGB so that the stars have color.